Sandwich, Hale, Unique, and more to perform at Pa-Concert ng Tito Mo! Tito Manilenyo and Red Ninja Production are teaming up to throw a massive show featuring some of the biggest local independent acts in the metro with Pa-Concert Ng Tito Mo! 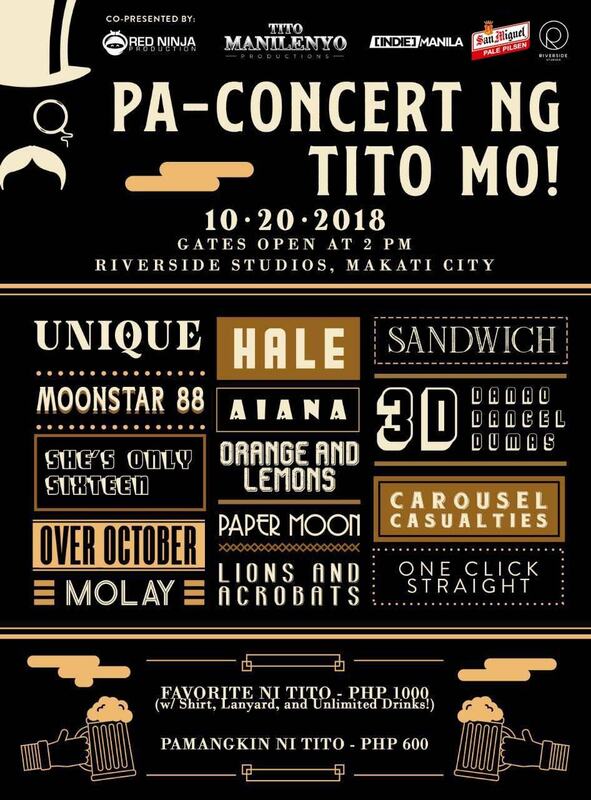 Happening at Riverside Studios in Makati City on October 20 (Saturday), Pa-Concert Ng Tito Mo! 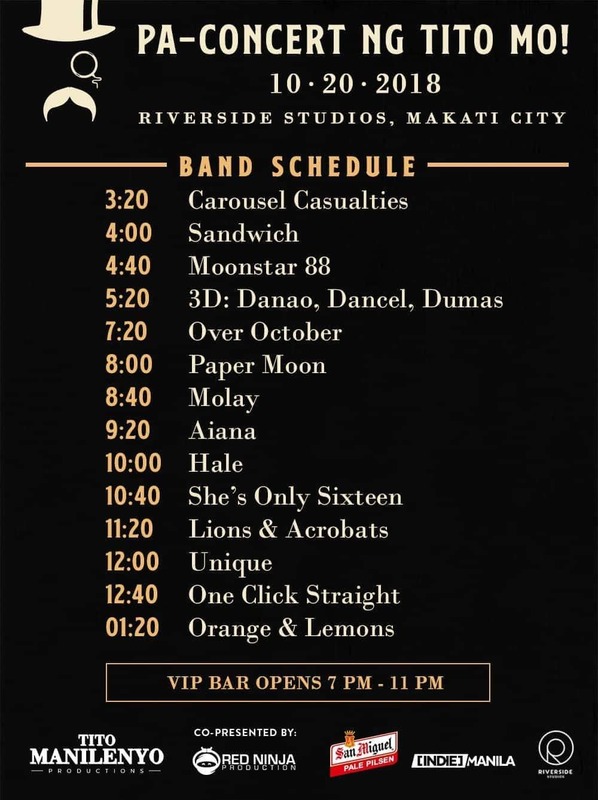 will feature the live music of Unique, 3D: Danao, Dancel, Dumas, Moonstar88, Sandwich, Hale, Carousel Casualties, Lions and Acrobats, Over October, Orange & Lemons, She's Only Sixteen, One Click Straight, AIANA, Molay, and Papermoon. Tickets are available for PHP 600 (Pamangkin ni Tito/Regular) and a special VIP price of PHP 1,000 (Favorite ni Tito), which includes a landyard, t-shirt, photo booth perks, unlimited drinks, and DSLR privileges. Part of the proceeds from Pa-Concert Ng Tito Mo! will be donated to victims of Typhoon Ompong through the outreach programs of DeMolay National Crongress. Don't miss your favorite Titos with the set times below.